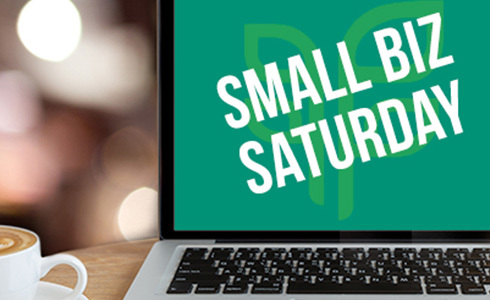 Small Business Saturday is November 24 and we want you equipped to promote and market yourself with some great tools from PURE. Whether you are a new or seasoned Independent Business Owner (IBO), you already know, or are beginning to realize, the benefits of our high-quality products. You also know that a lifestyle change that focuses on sleep, exercise and nutrition can put you on a path to Whole Health. But not everyone knows about PURE or the importance of living a balanced lifestyle. For instance, how would you convince a college student to focus more on their health? What would be the best way to share a sample of GPS with your workout buddy? How would you persuade a friend who was just laid off that he or she can find true fulfillment by starting a nutrition-based business? Not only does PURE offer high-quality products designed to enhance your well-being, but we have effective business tools you can use to share our products, programs and business to a variety of audiences. The GPS Playbook is a booklet designed to break down the benefits of each GPS product. It includes a Parent’s Playbook for safe children’s usage of GPS products. Available in a 10-pack. GPS Sampling Sleeves pop over a water bottle and display GPS Hydrate or GPS Energize packets to share with others. Available in a 10-pack. This full-color guide to all products by PURE includes a targeted needs sections to help someone locate products based on their health needs. Access product benefits, prices, and PURE Enrollment Pack information all at-a-glance. Available in a 10-pack. The online version of the above guide with supplement fact information for each product. Visit and send friends to @livepureglobal.com for the latest news and updates on PURE. A quick, easy-to-use, and portable option for sharing the PURE business and opportunity. Get immediate access to product information, shopping, volumes and commissions, nutrition facts, and more. Find natural solutions right at your fingertips. Available in the App Store℠ or Google Play™ online stores. Our print portal has a variety of branded marketing materials: business cards, product flyers, labels, thank-you cards, banners, T-shirts and much more to introduce our products and business to anyone. Educate yourself on products by PURE with in-depth podcasts every third Wednesday of the month. These are great to share with a friend interested in nutrition, or someone who wants to learn more about our products. Read articles about the company, general nutrition and more at gplivepure.com. This affordable marketing system is proven to grow your PURE business faster and more efficiently. Try it for only $1! Do things like lead generation, duplication, presentation and organization – all in one tool. Informative videos, webinars and more can be found on our YouTube channel. Flyers, product FAQs and more. Search for the product you’re interested in at livepure.com. Hopefully, we’ve given you a good idea of what’s available to market your business like nobody’s business. Remember, you never know who might be interested in products by PURE or the opportunity until you ask, and these tools provide a great way to start the conversation! These tools and products are provided for the exclusive use of the employees and/or authorized representatives of PURE. Use of these products by any other party for any reason is strictly prohibited.